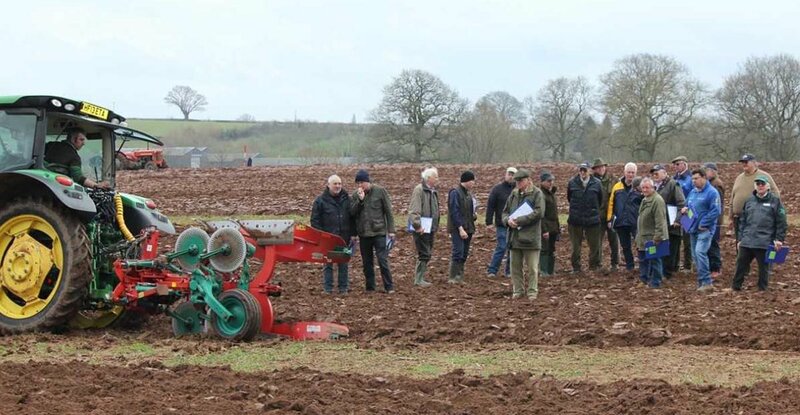 The trend in the drill market is shifting very much towards farmers drilling later in the autumn to give those stale seedbeds the best chance possible of being effective, as well as seeing a swing to spring cropping. The window of opportunity to get those crops established is thus considerably tighter and so wider machines that substantially increase work rates as well as the use of drilling systems which create less soil disturbance and leave seedbeds that are easily rolled afterwards are proving to be the way forward. The high output solo 12 m and 15m wide Citan-C drills, which also work in well with controlled-traffic farming systems, now feature a new 8,000 litre pressurised seed hopper which is split into three sections. This enables up to three different materials to be sown simultaneously, such as a cover crop mix or a joint application of seed and fertiliser. The hopper is accessed via a new step and platform and the controls have now all been grouped together with a new operator station at the front, left hand corner of the drill. The three metering rollers are driven electrically via an ISOBUS terminal. Half-side shut-off, which can be controlled either manually or via GPS SectionControl, is standard, as is the ground-level remote calibration via the TwinTerminal 3.0 display. Integrated work lights illuminate the coulter frame and hopper to make safe those long drilling days. You can see the Citan solo drill on Stand S705 next to the Sprays& Sprayers ring at Cereals 2018.